My nicely tanned legs? All thanks to my go-to self-tanners. The older I get, the more the color of my skin starts to diverge. I mean, I’m sure I was born one shade — probably that pasty white hue that my legs currently are. But for whatever reason, today, my face is darker than my neck (I blame the sunspots), and my legs are the whitest area of my body. They’re so white, they’re practically green in the dead of winter. So needless to say, as soon as it becomes shorts weather, I pull out my self-tanners and gradual tanning lotions for daily applications. I don’t stop until probably around November, when it finally starts to cool down in Southern California. And you better believe I know my self-tanners by now. 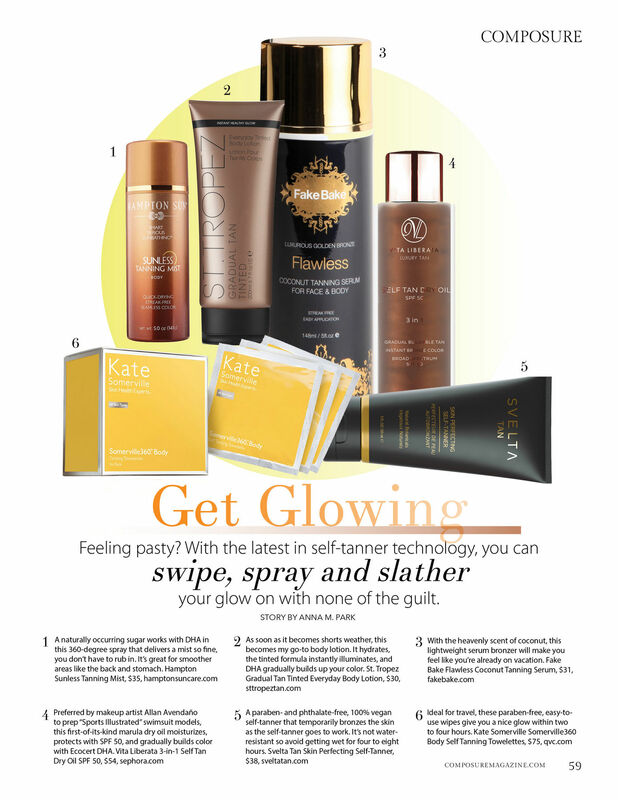 I’ve practically tried them all, much to the chagrin of my poor nose (that terrible dirt-like self-tanner smell is the result of the self-tanning ingredient, DHA, reacting with the body’s amino acids). For my latest story in Composure, I got to test some self-tanners, and here are my hands-down absolute favorites that don’t streak, don’t turn orange, and amazingly, don’t smell. 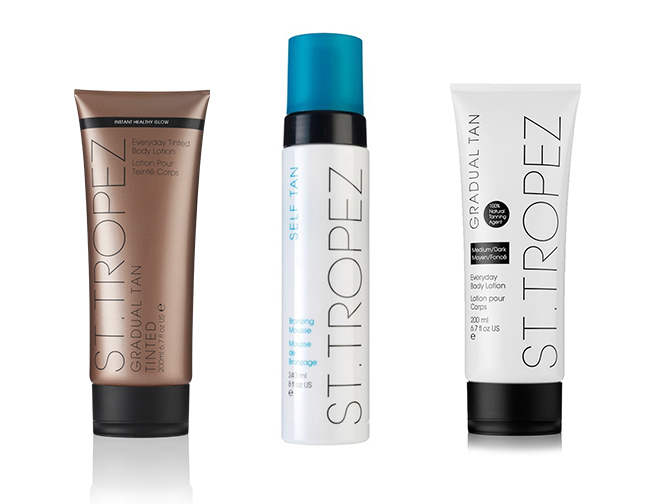 As soon as it becomes shorts weather, St. Tropez Gradual Tan Everyday Body Lotion becomes my go-to body lotion. (It’s one of the dozen beauty products I actually buy.) I like both the tinted version ($30) — for when I need an extra boost of color — and the medium/dark untinted version ($25). It hydrates (unlike other self-tanning lotions I’ve tried that claim to hydrate), the tinted formula instantly illuminates, and 100% natural DHA gradually builds up your color. What really amazes me is that the gradual tan body lotion really, truly does not smell. St. Tropez really pushed the envelope in terms of technology to hide the telltale DHA stink, and they’ve succeeded. In fact, not only have they neutralized the smell with a high tech fragrance, that fragrance has also been tested to enhance user’s moods. And I love that I never get that blotchy fading with this, though I’m sure it helps that I exfoliate my legs with a loofah every few days. (This helps get rid of the dyed top layer of the skin so that they dyed underlayer can come out, keeping your self-tan looking “fresh.”) In fact, so far this summer, I’ve only been using the Gradual Tan Lotion, and my legs have stayed such a nice color that haven’t had to use an actual self-tanner yet. 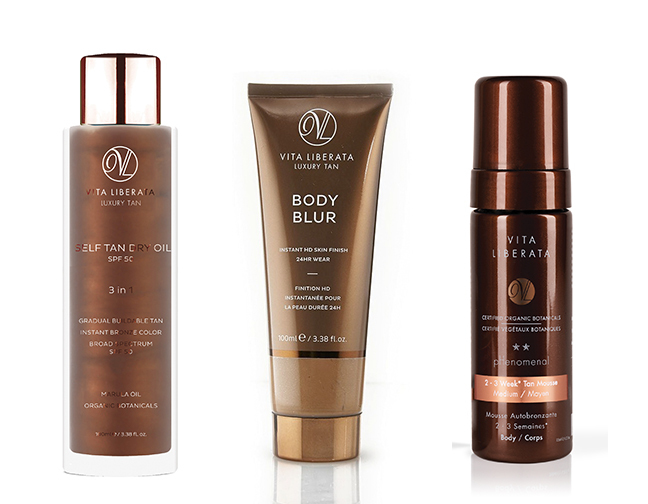 When I went to a press event for Vita Liberata, which I hadn’t tried before, I was totally won over by the charismatic makeup artist Allan Avendaño, who preps “Sports Illustrated” swimsuit models with only Vita Liberata, after trying all sorts of self-tanner lines. He says he used to get stressed out over skin finishing the models the night before a shoot, but not with Vita Liberata. I have to say, the Body Blur Instant HD Skin Finish ($45) is utterly genius — it gives the most amazing, perfect glow when my legs need a little extra oomph or my self-tanner is fading. (I used to use Sally Hansen Airbrush Legs, which is over-the-top and a bit heavy-handed, as well as other instant tint lotions, which have too much shimmer or are too fake looking.) 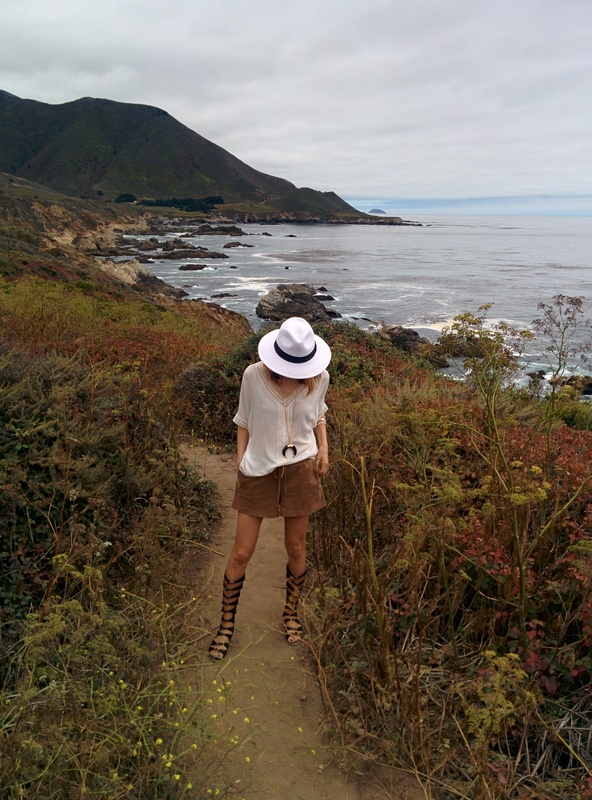 The Body Blur is not a self-tanner, but it stays on until you wash it off.